This kind of censorship is useless especially since legos seem like such a common household item that Mr. Ai wouldn’t have had to wait too long to get enough from his collection points. There’s a difference between supporting agendas and creating art that is critical of certain organizations or ideologies. “While I understand Lego does not want to be associated with controversial work, the art is in the end Ai Weiwei’s. The Legos are merely a medium used to portray an idea much like paint or pencils; therefore, Lego is not technically agreeing with the message of the art,” said sophomore art student Morgan Hannah. Art is suppose to be free to express the ideas, thoughts and feelings of the artist, and that’s not possible if it’s being censored. Mr. Ai has since then completed his project and it is on display at the National Gallery of Victoria in Melbourne, Australia. Censorship is a tricky subject these days. People get easily offended whenever most things are censored or not censored when they believe it needed to be. Everything has its place and time and censorship is meant to help that. What doesn’t help is when too much is censored so people become too sheltered and don’t get the whole picture. On the flip side, if little to nothing is getting censored then the main point of whatever it is are easily lost. What truly matters in the end is for people to be aware of and understand what is going on around them so they can choose to embrace it or revolt against it. Tom Doetsch is a Sophomore at Aquinas with an English Major and a minor in Sociology. A couple of his favorite hobbies are biking and table tennis. 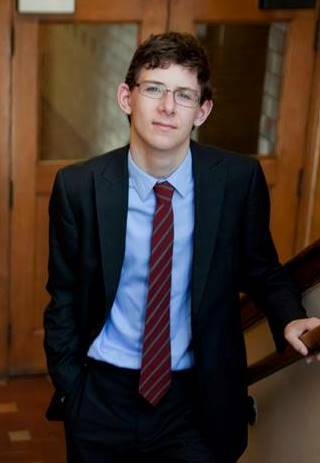 He is a staff writer for The Saint and his favorite section to write for is news.